The Amish Alexandria Dining Chair features molded seats and a tilt-back design to keep you and your family and friends comfortable around your dining room table. The style and beauty of these solid wood dining chairs resemble that of an early American home. Combining simplicity with exceptional woodworking skills, this dining chair style stays current with many kitchen and dining room decors. Take a look at our helpful guide to selecting the dining room chair that's right for your family on our blog, Timber to Table. These dining chairs are Amish made in America with every detail defined. 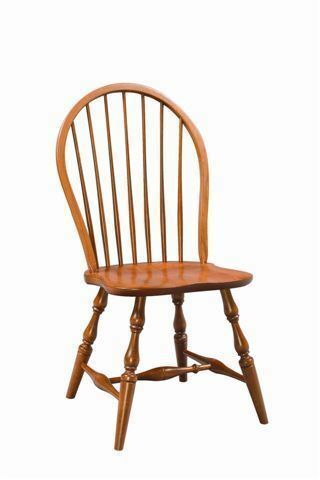 With solid wood construction, a steam-bent design, and mortise and tenon joinery, these Amish chairs are built to last. Review our collection of Amish Dining Room Chairs to see all the styles we have to offer. Call us today, toll-free at 866-272-6773 with any questions.